Below you fill find all funeral homes and cemeteries in or near Payette. Their current mayor is Mayor Jeff Williams. Zip codes in the city: 83661. Payette County funeral flowers can be purchased from one of the local funeral shops we partner with. Some of the notable people born here have been: (james a. mcclure), (leon lyon), and (harmon killebrew). Payette is a city in and the county seat of Payette County, Idaho, United States. The population was 7,433 at the 2010 census. It is part of the Ontario, OR−ID Micropolitan Statistical Area. It was revealed by Grand Island Independent on September 20th, 2018 that Beverly Grayce Coker (Sickels) passed away in Omaha, Nebraska. Ms. Coker was 85 years old and was born in Payette, ID. Send flowers to share your condolences and honor Beverly Grayce's life. It was reported on July 27th, 2018 that Anita Sue Carper (Doty) passed on in Payette, Idaho. Ms. Carper was 81 years old and was born in Carter Nine, OK. Send flowers to express your sorrow and honor Anita Sue's life. It was disclosed by Baker City Herald on July 27th, 2018 that Betty Freeman (Swigart) passed on in Lafayette, Oregon. Ms. Freeman was 72 years old and was born in Payette, ID. Send flowers to express your sympathy and honor Betty's life. It was revealed on April 26th, 2018 that David Francis Pastor Sellers passed away in Sedan, Kansas. Sellers was 72 years old and was born in Payette, ID. Send flowers to share your condolences and honor David Francis Pastor's life. It was disclosed on April 25th, 2018 that John Wilson McLean passed away in Payette, Idaho. McLean was 68 years old. Send flowers to express your sympathy and honor John Wilson's life. It was written by Idaho Statesman on March 22nd, 2018 that Lavon R "Jeep" Thomas died in Payette, Idaho. Thomas was 81 years old. Send flowers to express your sympathy and honor Lavon R "Jeep"'s life. It was revealed by Baker City Herald on February 2nd, 2018 that Martin E Lightfoot passed away in Pendleton, Oregon. Lightfoot was 83 years old and was born in Payette, ID. Send flowers to express your sympathy and honor Martin E's life. It was written by Idaho Statesman on January 10th, 2018 that Darlene Anne Skelly (Marsters) passed on in Payette, Idaho. Send flowers to express your sympathy and honor Darlene Anne's life. It was revealed by Idaho Statesman on January 10th, 2018 that Phil Leon Skelly passed away in Payette, Idaho. Send flowers to share your condolences and honor Phil Leon's life. It was disclosed on December 10th, 2017 that Albert Price Metheny passed away in Payette, Idaho. Metheny was 82 years old and was born in Shawnee, OK. Send flowers to share your condolences and honor Albert Price's life. The population was 7,054 at the United States Census, 2000 census. It is part of the Ontario, Oregon Oregon Ontario micropolitan area Statistical Area. 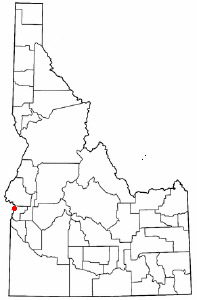 Payette is a city in and the county seat of Payette County, Idaho County, Idaho, United States. . . The official website for the city of Payette is http://www.cityofpayette.com/. Funerals in Payette, ID on Yahoo! Local Get Ratings & Reviews on Funerals with Photos, Maps, Driving Directions and more. Listing all funeral homes in Payette, Idaho so you can easily send flowers to any location (same day delivery) or find any funeral service. We work with local florists and flower shops to offer same day delivery. You will find budget sympathy flowers in Payette here. Our funeral flowers are cheap in price but not in value.